I go through periods of time, when I feel like I need to mix things up. I often can’t leave well enough alone. I tweak, change and – quite possibly – over complicate things. Luckily, I tend to keep my tweaking to trivial things like wall colors, hair styles and recipes. Not that recipes are trivial, its just that in my mind, recipes are meant to be tweaked. Right? 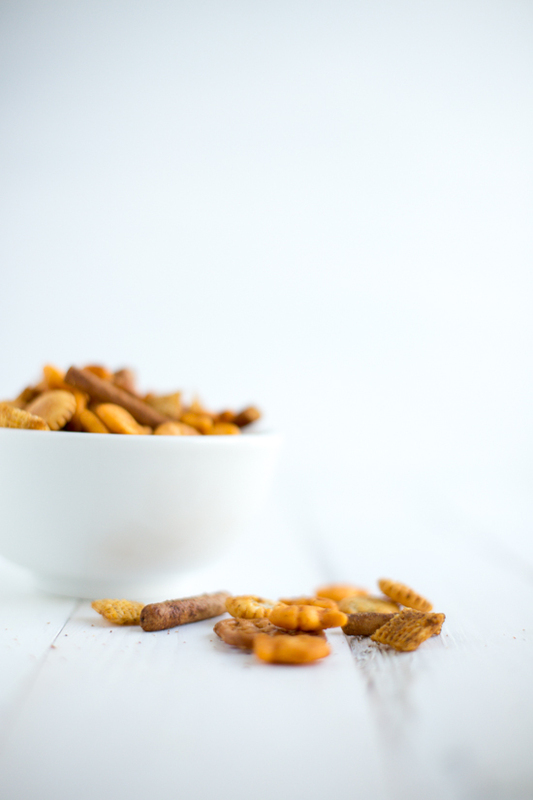 Many times, it turns out that the original was superior compared to this new fangled concoction, but in many cases, like this Old Bay Chex Mix, the new is…refreshing. Like seeing an old shirt (that’s been hanging in your closet for years) in a new light. I think we all have that one item in our closet that for some reason, has hung around through style changes, weight changes and even house changes. I may have more than one of those shirts, I’m sorry to say. But every few years, I pull them out, style them up a bit differently and it feels like I have a brand new outfit. These are the mind games I play with myself. 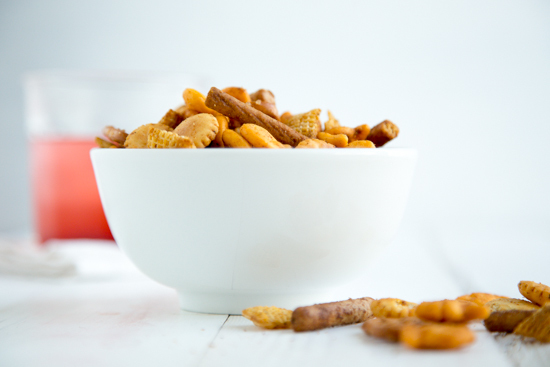 Anyway, I recently messed around with my go-to snack mix recipe, wanting to create something a bit different – a bit unexpected. I went to my cabinet and the little yellow tin of Old Bay seasoning seemed to jump out at me. If I’m being honest, it probably fell out at me because I have a serious spice cabinet organization issue. But that story is for another day. It seems like everyone has their go-to spice or herb. My SIL, Julie (of the roasted broccoli genius) and I were just talking about this. In her house, dill is up there with the most commonly used herbs. For me, it’s rosemary and thyme for herbs and cumin, coriander and Old Bay for spices. Old Bay goes on just about everything in my house – I’m not even kidding. Have you ever tried it on sweet potato fries? Unreal. 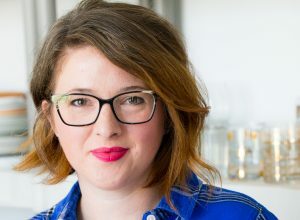 I could go on for days, but really, I’ll just send you over to Food Fanatic to get my Chex Mix recipe with Old Bay. You’re gonna love it! But I’m curious, what are your go-to herbs and spices that seem to make their way into everything? Seriously, I would love to know, because I need to branch out. This is the most gorgeous snack mix I’ve ever seen!! My go to is Lawry’s. Either that, or garlic powder.